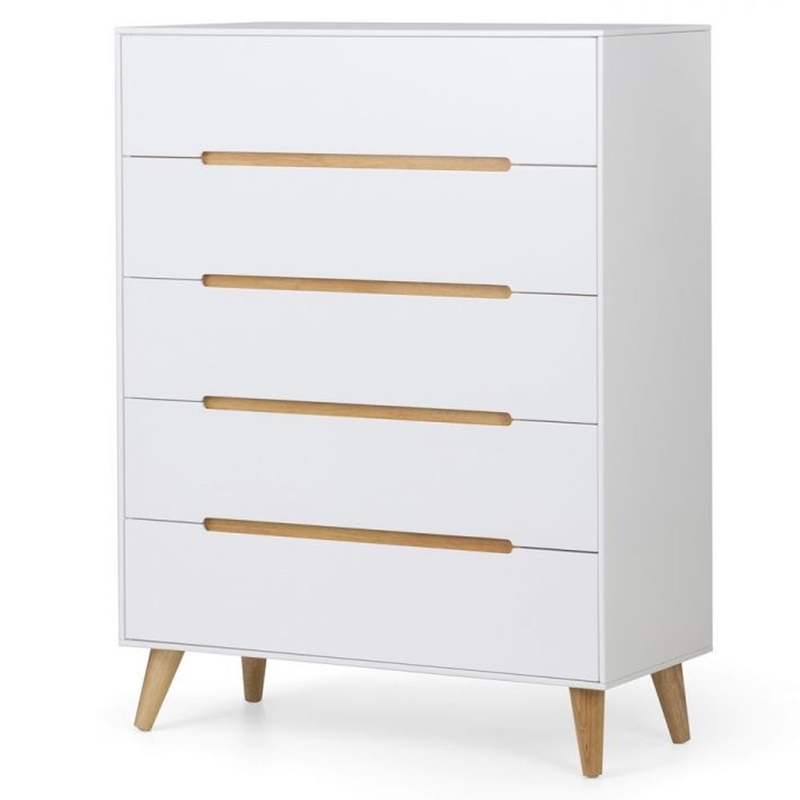 We are proud to introduce this stunning Alicia 5 Drawer Chest. It has a gorgeous design which is very simplistic as well as being extremely modern. This style is complemented by its white colour with oak detailing to give it a more homely, warm feel.